We would like to offer you the opportunity to have a light shine in honor of your loved one who has been impacted by ALS. For only $20, you can sponsor a table lantern at the Light the Journey Gala. 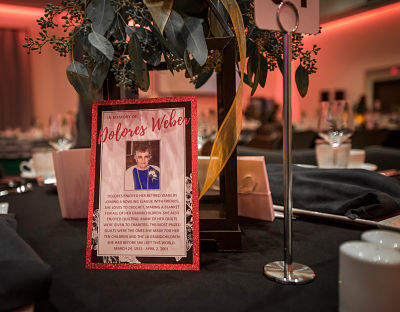 Your table lantern sponsorship will include a photo with text that will be attached to a centerpiece. Click here to place your table lantern sponsorship order. To book your hotel room click on the link below or call 1-800-333-3333 and ask for the ALS room block. Reservations must be made by September 26, 2018. Any reservations made after this date are subject to availability and at prevailing room rates. Gatsby Gang Jazz Band is a Twin Cities based jazz band that performs your favorite jazz music from the 1920s to 1950s, along with vintage takes on today’s hits. 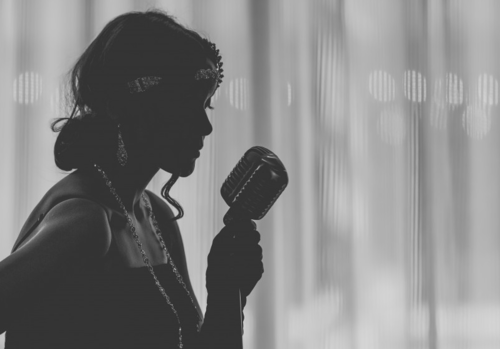 The Gatsby Gang has performed for audiences at corporate and special events across the nation and are sure to entertain with their sophisticated sound. Alix Kendall has been anchoring the FOX 9 Morning News since its inception in 1999. She's also the host of the Fox 9 Buzz, a lively entertainment based show, following the news. She was born and raised in Minneapolis, and graduated from Brown College in 1984. She spent seven years as a disc jockey beginning in North Platte, Nebraska, moving onto Omaha, then making her way back to the Twin Cities again. Her jump to television happened in 1992 at KAAL-TV in Austin, Minnesota. She's also worked as an anchor in Cincinnati, Ohio, (FOX 19), and KRQE-TV in Albuquerque, New Mexico, as a reporter, and TV News Anchor. Outside of work, Alix enjoys writing, playing guitar, and traveling, especially when it incorporates service projects. Her adventures have taken her through Central, and South America where "Traveling feeds my soul." She lives in South Minneapolis with her teenage daughter, Kaitlyn, and her partner, Ed, whom she met while working with Global Volunteers in Costa Rica.